Are you following Miss Tina on Instagram? If you aren't, I feel sorry for you. I'm sorry that you are missing the woman who birthed Beyoncé AND Solange tell the corniest jokes/ embarrass her husband/ be the most adorable mom on Instagram ever. Before I get to her latest social media greatness, let's revisit the influence of Miss Tina Lawson. In January, Lainey wrote about her New York Times profile. Along with reiterating the influence this woman has had on two of the greatest artists of my generation (yes, Solange too), the NTY called Miss Tina a "sage retiree supremely at ease in her dewy, flawless skin" and a "goofball." Both the sage retiree and the goofy side of Miss Tina are on full display on her Instagram. I'm obsessed. When Beyoncé Instagrams, she is usually granting us a well-manicured, carefully curated look at what she wants us to see of her life. It's mostly photos, rarely videos. It's calculated and deliberate. I'm not mad at that at all but with Miss Tina, we're getting an unfiltered look at a 63 year old woman living her best life - at least it seems unfiltered and relatable. That takes skill. But since she is still a Mom, her social media skills have not always been the sharpest. A few months ago, Miss Tina announced that she was taking a break from Instagram after she “accidentally” liked a post that insulted Jennifer Hudson’s singing – drudging up old rumours that JHud and Beyoncé were beefing during Dreamgirls. As Lainey mentioned at the time, this makes Miss Tina even more of the most relatable Mom on Instagram. OF COURSE Miss Tina f-cked up and did something that might affect her daughter’s image. That was in December. In November, there was the photo in an elevator that she posted and then deleted. I’m surprised Beyoncé hasn’t shut her down altogether. Miss Tina is now back on the ‘gram and probably still humiliating her daughters but this time, in completely harmless ways. I could watch videos of Miss Tina and her husband Richard Lawson all day. They are so f-cking cute I can't handle it. And Richard is so down to play along, content with being the co-star in so many of Miss Tina's Insta videos. How cute are they when they're arguing over Texas barbecue? To quote Lainey, "I can’t believe people are leaving them alone." Seriously. If I was in a BBQ joint and Miss Tina and Richard rolled it, I would lose my sh-t. That is Blue Ivy's grandmother! Why isn't the whole restaurant shut down? Why aren’t there paparazzi banging on the windows? Why isn't anyone crying? I can't decide if her jokes make me relieved or disappointed that my mother doesn't have Instagram. For Beyoncé, the corny jokes are embarrassing. God, I would love to listen in on the conversations Bey and Solange have about Miss Tina's posts – especially since after the Jennifer Hudson drama, they are probably monitoring her extra closely. Does Miss Tina now have to clear every post with Bey’s team? If that were the case, there might be a few less cheesy punchlines. According to Miss Tina, Beyoncé told her to chill with all the mom jokes. Good Morning Sunshines❤️Happy Thursday. haha You guys are misunderstanding what I was saying, or I didn't explain it well. Beyonce was saying it's obvious mama that you are videoing several jokes at a time . ( on the same day) you don't have to put one out everyday. When I said good light I meant literally good light!!! Gods light! Haha not a spiritual lite. So I was saying if I look okay in the light I'm going to video several at the same time. My children never try to take my light from me. But I don't t think anyone likes their mom on instagram 😀do you? The entire video is amazing but the caption is my favourite. Miss Tina films a bunch of her jokes in the same spot to back log them for other days if she's feeling herself in the light! I'm dying. That's some Mariah Carey sh-t and I am so here for it. Again, we know that Beyoncé runs a tight ship. She controls everything. The one thing she can't control is her mother on Instagram. That will never stop being hilarious. And it’s only a matter of time before Miss Tina “accidentally” f-cks up again. Next time, will she get her social media privileges back? 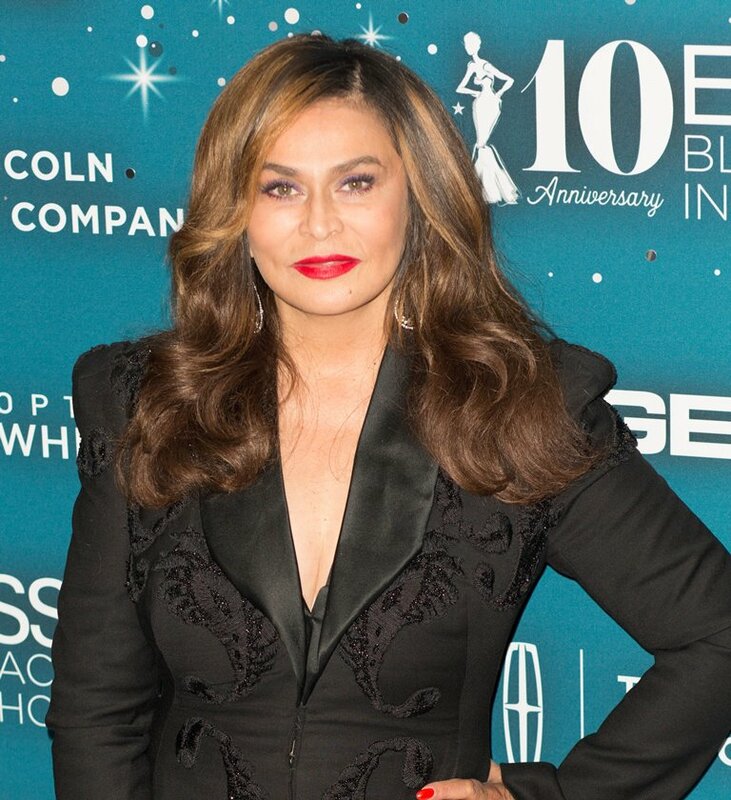 We should enjoy the Richard sightings and appreciate Miss Tina’s commitment to a bold lip while we can.